"Welcome to the new camposcoffee.com"
As most already know, we never do anything by halves here at Campos Coffee. Over the last 15 years, this has been written over and over again into our DNA as a truth. We are wholehearted and authentic on everything. You can see this in our coffee, where, despite the siren songs of cheaper quality coffee, we stubbornly refuse to back down from our quality promise regardless of how this effects our bottom line. You can see this in our support for social projects at origin, where our vision is to share in the success in coffee, and our projects continue to grow as we grow. You can see this in our commitment to never be disrespectful to our customers who have built this amazing thing together, with us, over the years. Every time our customers buy a coffee, they can be assured we will not be frivolous with their payment. Integrity is everything. Not being wholehearted, authentic, and genuine does not compute with us. And now you will see our wholehearted and authentic spirit in this website. This is culmination of much hard work by the team to ensure this site accurately reflects and channels our movement. I hope you’ll find wholeheartedness, authenticity, and depth. This is no “show pony” website. 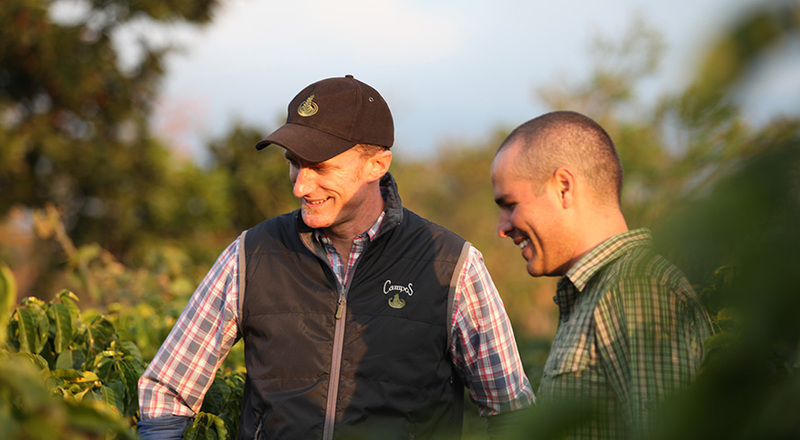 Like our green bean buying program, when we say we’ll spend time at origin working with our producers and searching for the best coffees in the world, we mean it and cumulatively, we spend over 365 days at origin. This is a big investment, but so worthwhile to ensure we understand our producing partners, and also to ensure our amazing coffee is produced ethically and sustainably. Take a look around. I particularly like the videos on our coffee preparation and the social project work. 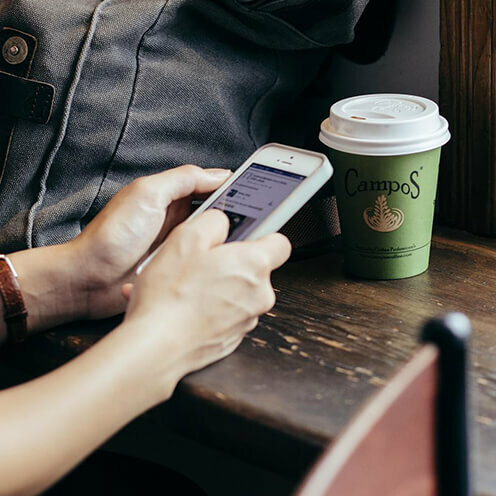 The Campos Coffee finder is finally here for those who need their closest green cup. And, the online store is looking gorgeous. We will keep on doing what we do. We’ll be wholehearted in everything as always. This website…well this makes it a lot easier to deliver all the news and updates to you, our loyal customer. You have been integral to bringing us to where we are today and you are the impetus for us to push for amazing things for the future. Here you can stay in touch and watch as your support becomes part of this awesome vehicle for good in the world.